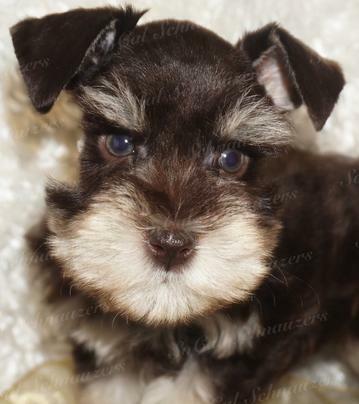 What Color Eyes Can a Miniature Schnauzer Have? Are There Eyes Still Healthy Even Tho They Are Different Colors? YES. I have seen people express some concern on this topic, but I can assure you all my dogs have been to the vet they are all healthy and have no issues with there eyes. 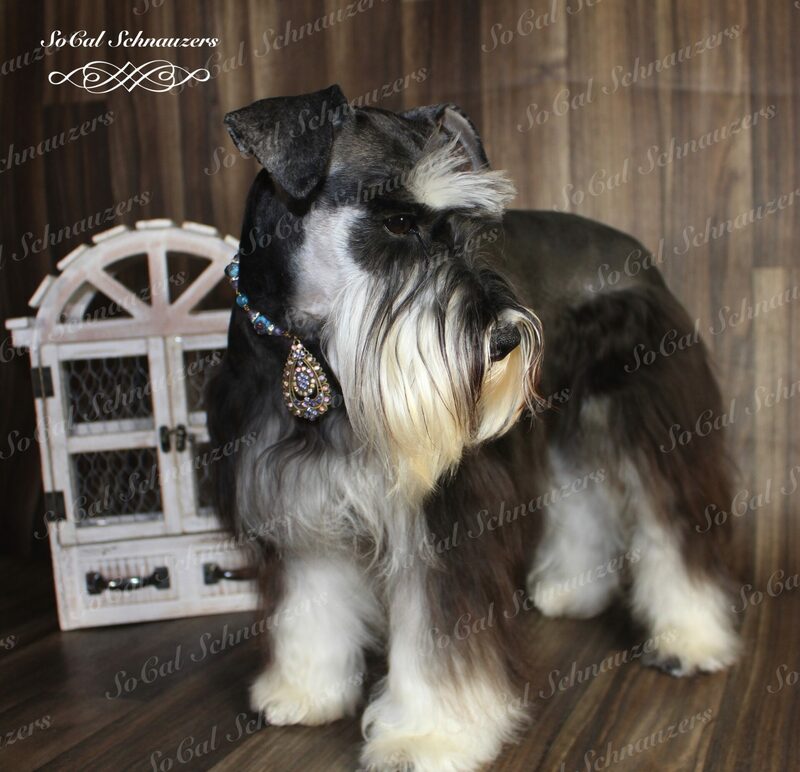 If you would like to speak to my vet and ask them about my blue-eyed Schnauzers, please feel free to contact Companion Animal Clinic in Yucca Valley California. 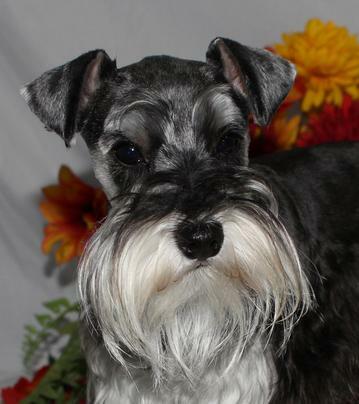 Are all of These Schnauzers Still Purebred, Even If They Have Different Color Eyes? 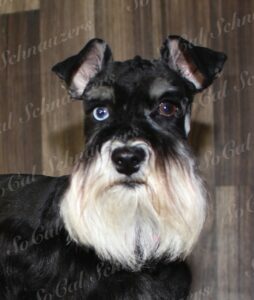 YES, all of my Schnauzers have AKC paperwork that states they are purebred Miniature Schnauzers no matter their eye color. This is what brown eyes look like. A lot of times they will be so dark they almost look black. But if you shine a flashlight into there eyes you will be able to tell that in fact, they are brown. 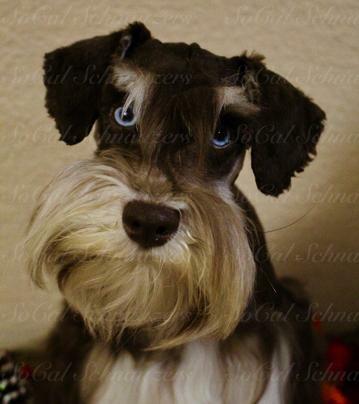 Brown eyes can be in every color Schnauzer, it is the most common eye color. 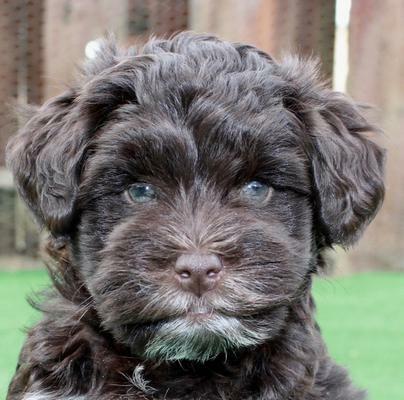 Hazel eyes are usually found on Liver (brown) colored Schnauzers that have a brown nose only. 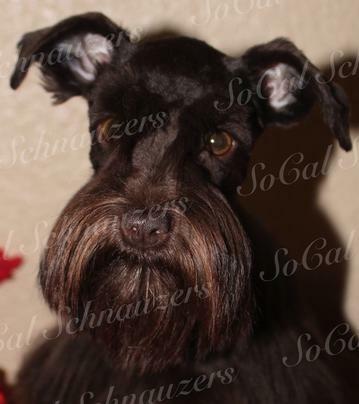 You usually see green eyes on any schnauzer that is liver (brown) colored or that has a brown nose only. This is what blue eyes look like. Blue eyes are rarer this is why they cost more, not only to puppy buyers but breeders as well. 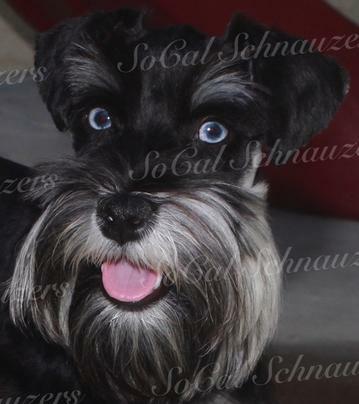 Blue eyes can be in any color Schnauzer as long as one of the parents have blue eyes, then the litter has a 50/50% chance of getting blue eyes. This color is stunning and different. That is why I love them so much.